How can biodegradable plastic solve the plastic pollution problem? In December, nearly 200 countries including the U.S., China, and India signed a United Nations resolution to eliminate plastic pollution in the sea. The main challenge, however, in ending plastic pollution is that it stems from fossil fuels, which the developing nations are reluctant to toss. Similarly, anti-plastic campaigns are making a little difference. Efforts to ban plastic bags and straws can raise awareness but they aren’t contributing to the bulk of the problem. Plastic pollution is a human problem, which can’t be solved unless we get to its root. Kevin O’Connor of University College Dublin, Ireland says bioplastics are, at least, a part of the plastic pollution solution. Biodegradable plastic, also known as polylactic acid, or PLA, is made from maize starch or sugar cane. It has uses ranging from medical implants to packaging. At the University College Dublin, O’Connor is working on fermenting sugars or plant oils, or even breaking down waste PET to make polyhydroxyalkanoates (PHAs), a biodegradable plastic that can be used to make bottles, films, and glues. The most effective biodegradable plastic is probably Mater-Bi, a thermoplastic starch “made of cornstarch, vegetable oil derivatives, and biodegradable synthetic polyesters.” Out of a varied biodegradable plastics, Mater-Bi is the only one which is found to be compostable at typical home compost pile conditions. Most plastic that contains ‘biodegradable’ or ‘compostable’ carry incomplete or misleading labeling. So why are we not hearing more about the potential for biodegradable plastics? The idea of bioplastics has been since the 1920s and some have been commercially available since the 70s. It is, however, difficult to made bioplastics from plant-based materials such as starch since it cost more than to produce oil-based plastics in a market driven by high-volume commodity produced using cheaper methods. Niche markets exist for bioplastics from food and healthcare manufacturers keen to gain some clean energy bonus points. Companies such as LEGO and IKEA are searching for new bio-based raw material. By 2020, IKEA wants to manufacture all of its plastic products from renewable materials. It is already considering using a fungus biodegradable packaging instead of polystyrene to package its products. The biodegradable packaging is produced by growing mycelium (the vegetative part of a fungus) around cork stalks or husk and then dried. LEGO aims to produce its building bricks from plastic made of renewable materials starting 2030. In 2015, the company announced it was investing €135 million to found its own Sustainable Materials Center. The Coca-Cola Company wants to produce its PlantBottle technology using only renewable resources. Biodegradable plastic should be a good news for the global plastic waste problem. The pristine beaches that were once covered with sand are now littered with plastic waste. 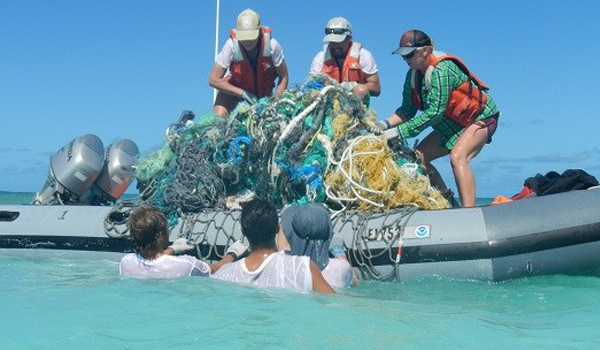 Every year an estimated eight million tonnes of plastic waste gets washed up from nearby nations into the oceans. The marine pollution has reached at a level where it is approaching as a serious environmental issue.